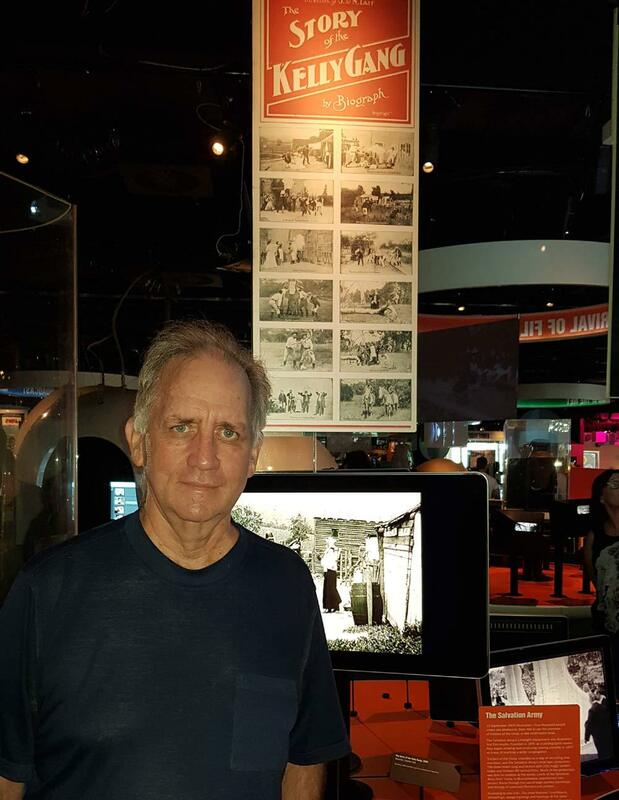 A reproduction of one of the most significant of all Australian posters has been on display in Melbourne at the ACMI Exhibition of The Story of Film Television and Digital Culture at Federation Square. The historic Australian film is generally considered to be the first full-length feature film ever made despite the fact that only fragments have survived It is the first Australian (theatrical or otherwise) film ever made.Of course it also has Australian historical sginificance as an historical record of the infamous bushranger Ned Kelly. The poster on display has been determined as the original 1906 release by the National Film and Sound Archive and is incredibly rare. A later re release had been mistakenly thought to be original but extensive research proved that it had been printed in 1910.The reissue is still described as original release on various websites and has been reproduced and sold extensively on ebay. Of the many thousands of Australian movie posters that have been produced over more than 100 years, this is probably the most important in terms of historical significance. Of the known copies, two styles are held by the National Film and Sound Archive and the other is in a private collection. I can highly recommend the ACMI Exhibition of The Story of Film Television and Digital Culture at Federation Square. They have a comprehensive display of historical items from Australian Television and Movie history on display.